Technology Installation Services installed new voice and data networks as part of a major refurbishment programme in Birmingham city schools with our sister company Dodd Group Midlands Ltd.
Cockshut Hill School was one of several schools being refurbished for Birmingham City Council. 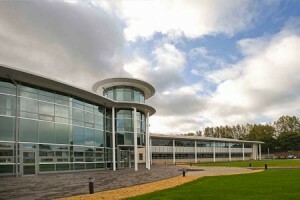 The project involved a phased refurbishment of some buildings and the demolition and construction of new facilities. The school was looking for an efficient, long-term solution that ensured comprehensive coverage in all teaching areas, as well as the flexibility to meet future growth and development. Wherever and whenever possible we are happy to programme our work to suit our clients. We worked closely with the school management team and completed a high percentage of the work during school holidays, with minimum disruption to lessons. Our solution was a high quality AMP NETCONNECT structured cable network and Cisco layer 3 switches that have been tried and tested by TIS in several schools. The project involved the installation of more than 1,500 category 5e UTP outlets throughout the school and several cabinets, each linked back to a main server with AMP multimode fibre cable and CW1308E cable. This means that voice, data and video can be run over the same cabling. It also means that school staff can easily manage future changes: moving user sockets and changes for voice and data are a simple matter of repatching. The cabling system is a true end-to-end quality AMP NETCONNECT system of cateogory 5e and fibre-optical cables and components with patch cords, which is guaranteed by the AMP NETCONNECT 25-year performance warranty, covering replacement materials and labour.